What They Call Games: What does Bowser want with fairies? Shout out to Gnoggin for turning this into a YouTube video! Most Mario games aren't exactly know for their stories. Generally, Bowser captures the Princess and the Mario Bros. have to rescue her. No one questions it because bad guys capturing princesses is just an accepted and normal part of non-reality at this point. Bowser doesn't need a reason; he just captures the princess because that's what he does. Maybe it's a show of strength or something, like a way of laying claim to the Mushroom Kingdom. Whatever. It doesn't matter. It's normal. 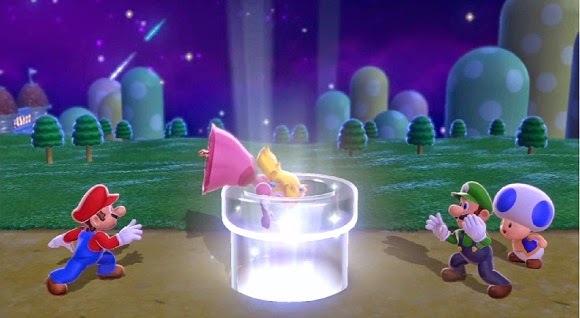 What's not normal is capturing fairies, which is what he does in Super Mario 3D World (technically, they're "sprixies" in the English, German, and Dutch translations, but let's be honest, they're fairies). Okay, so if you're not familiar with the beginning of Super Mario 3D World, it goes like this: Peach, Toad, and the Mario Bros. are walking around checking out fireworks when Toad spots a mysterious crystal pipe. Mario and Luigi do their jobs for once and fix the plumbing, just in time for a bunch of unregulated foreign powerups, which will surely destroy the Mushroom Kingdom's ecosystem and economy, to spill out, followed by one of the aforementioned fairies. 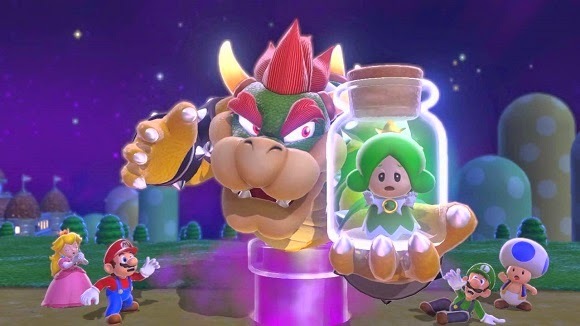 The fairy hurriedly explains that Bowser is capturing fairies in bottles, when, lo and behold, Bowser himself pops out of crystal pipe, sticks the fairy in a bottle, and escapes back into the Sprixie Kingdom. Now, an interesting thing to note at this point is that Mario and Luigi show no sign of going to save the fairy until Peach falls into the pipe. That doesn't relate to the story in any way as far as I can tell, but it does shed a bit of light on the Mario Bros. character. Upon exiting the crystal pipe, the adventure has begun and the rest of the game is simply running and jumping through levels and rescuing each fairy princess from the castle at the end of each world. But why, after all this time of persistently wreaking havoc in the Mushroom Kingdom, did Bowser seemingly give up on Peach to capture the sprixies of the Sprixie Kingdom? It could be simply that he likes taking over places and that capturing sprixies is the natural progression of his princess capturing obsession, but I like to think that Bowser isn't as simple minded as that. One must keep in mind that all of these games are told from the Mario Bros. perspective and thus portray them as the infallible protagonists and Bowser as the mindless villain. However, even with this intentional bias and deception in favor of the Mario Bros., it is possible to glimpse some of the truth behind Bowser's motives. Just because Bowser is a bad guy, that doesn't necessarily make him a bad guy after all. It doesn't make him necessarily not a bad guy either, but let's give him the benefit of the doubt. In fact, Bowser was directly involved in saving the Mushroom Kingdom and Star Road during the events of Super Mario RPG, as well as defeating Fawful during Mario & Luigi: Bowser's Inside Story. There are other examples as well of Bowser being a force of good. He usually tries to mask these good actions with selfish motives, but that's really just his awkward way of trying to be humble. Even capturing Peach was likely done with good intentions; in Super Mario Sunshine, he does so because he wants his son to have a mother. I suspect that his motives in 3D World were similarly altruistic. Consider what is unique about the sprixies. Whenever Mario rescues one, they are shown to be able to build crystal pipes out of thin air in mere seconds. It's unclear whether they're only able to build pipes, but one would think that they can also magically build other things. 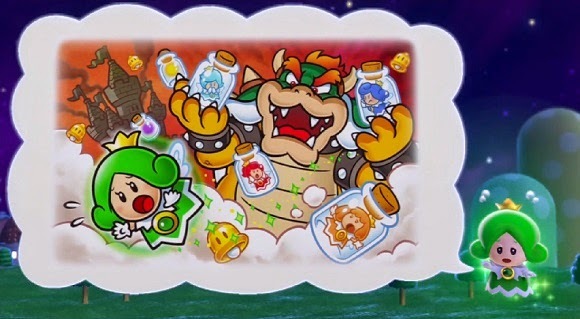 I theorize that Bowser captured the sprixies in order to harness their magical building powers. Sure, he probably could have just asked them for help, but Bowser isn't exactly known for his social skills. But what would Bowser want to build? Castles. Bowser clearly has a thing for castles and somehow has at least one new castle in every game and often several for his minions. Castles aren't cheap, and even if he builds them with slave labor, they take a while to build. Keeping sprixies on staff would make castle building a cinch. Now, you're probably wondering how this is altruistic. 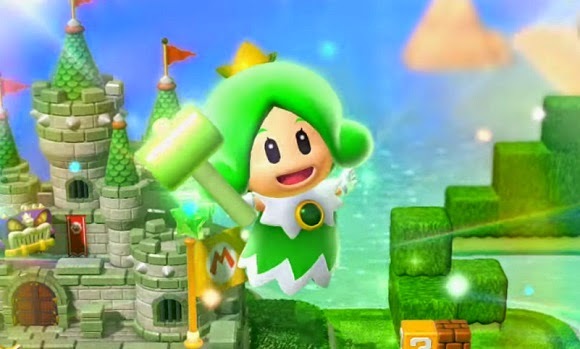 The answer is that Bowser no longer has to capture Peach and steal her castle or any other occupied castles since he can build his own, in a totally separate kingdom no less. Furthermore, going by percentage, very few of Bowser's castles are actually built for himself. Instead, he can now reward his loyal followers with their very own castles. But that's not all! 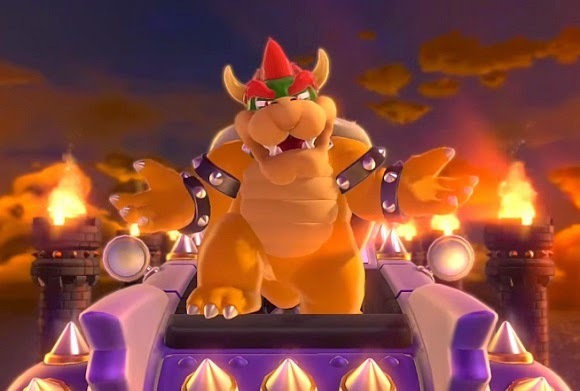 Near the end of 3D World, we see that Bowser has also built a large amusement park. Seriously. It's an amusement park. What could be more fun, happy, and non-evil than that? Once again, Bowser just wants to reward his friends and family with a fun place to hang out. And Mario has to come and ruin everything again. That jerk. But that's just a theory. A game theory! It's better than the in-game story though. Let's just give Bowser a break for once. He may be socially awkward, but he just wants what's best for his koopa troop and child(ren). If you like Mario games for Wii U, here's a related thing.